← Massive Sale Alert! 5 Awesome Games on Sale This Halloween! 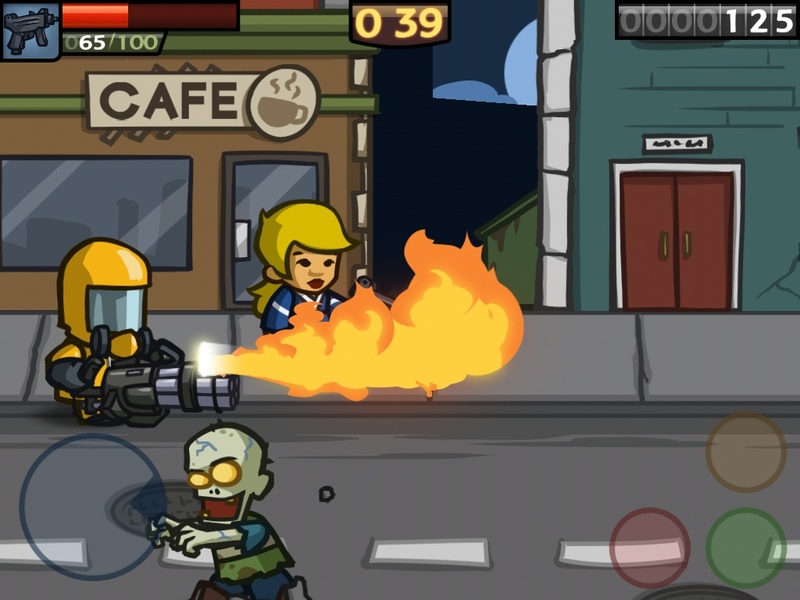 In Zombieville USA 2, everything gets bigger and shinier – it’s an awesome sequel that vastly improves upon the original Zombieville USA by offering character and weapon customization possibilities, new and improved game mechanics, multiplayer AND dishing out satisfiyng, hard-core zombie slaying action. 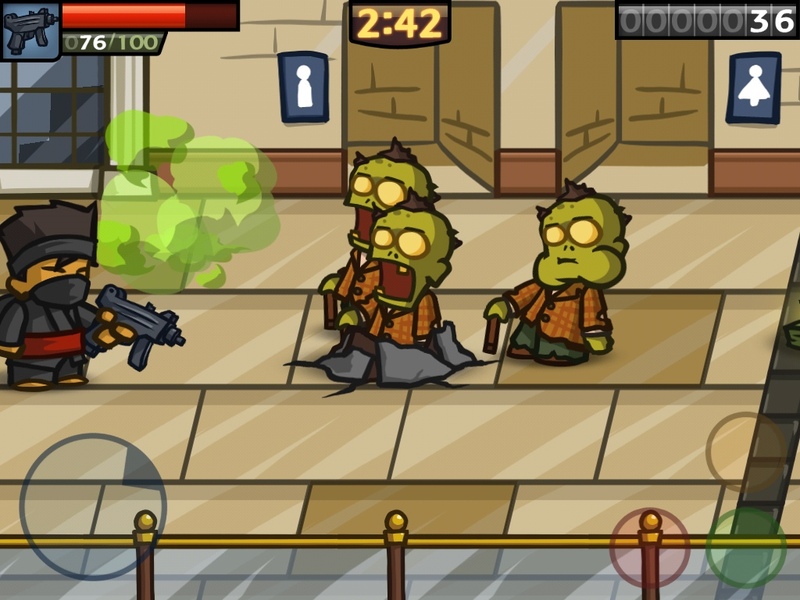 All things considered, Zombieville USA 2 is easily on the list of 2011’s best games for the iPhone and iPad. Mika Mobile is one of my favorite developers. I first fell in love with Battleheart, one of the best iOS games out there, but for avid fans of Mika Mobile, early iPhone sensation Zombieville started it all. Now, the much-awaited sequel Zombieville USA 2, has finally arrived. If you’re new to the franchise, here’s a quick intro to what Zombieville is about. 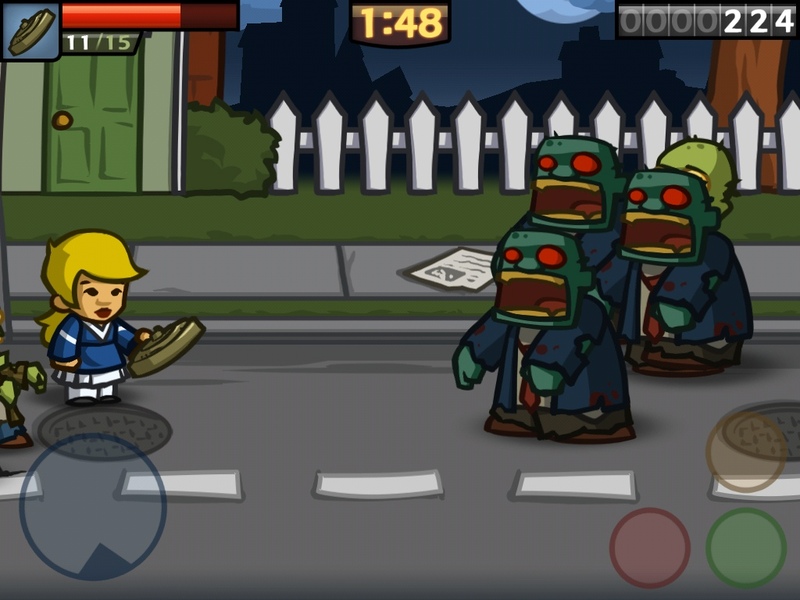 Gameplay consists of killing as many zombies as you can, without getting eaten in the process. You have two basic weapons at your disposal – one for shooting and one for melee fighting. A linear type of sidescroller, you basically move from point A to point B while a number of zombies just push themselves up from the ground and you can either shoot them down or move forward quickly to strike them down from a distance .. You can hide in houses to get more ammo or money, or buy some time to plan your next move. There are nice surprises – inside the houses, for example, you might find an unexpected AI ally who’ll shoot down zombies with you until he dies, or a vehicle you can ride to run over zombies and take you to the end of a level. You have plenty of characters to choose from, each with his respective strengths (e.g. never runs out of ammo, earns a lot of money, moves faster than the others) and weaknesses, and from the shop, you can buy bigger and better weapons and med packs to heal yourself. The game is pretty simple and the degree of strategy required is pretty low. If you are a fan of the devs’ quirky cartoon art style, you can easily see how much the game has evolved just by looking at the art. The graphics are bigger and shinier, and there’s plenty of new stuff to look at. Since there are new weapons as well as new zombies here who do other things and not just run after you, it’s fun to see zombies with projectiles with green matter flying about, massive explosions thanks to the landmines weapon, and all sorts of cool new animations. 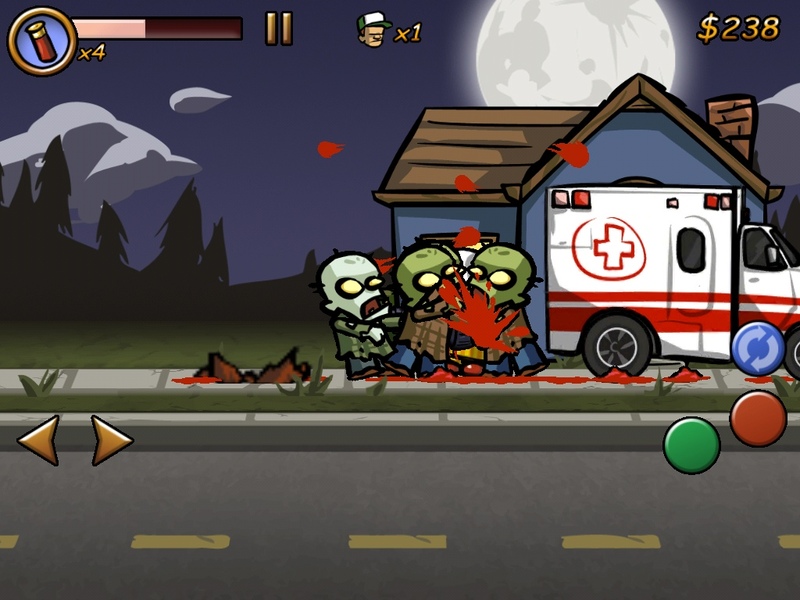 Zombieville USA 2 is a survival, ammo management and zombie slaying kind of game, much like its predecessor. However, in this iteration, it becomes a full-blown RPG type of game that turns up the strategy several notches. Apart from 15 new characters to choose from, this time, you have 3 weapons at your disposal and 3 skills you can take with you. The strategy lies in choosing which ones work best for you – for example, if you need to heal constantly, you might prefer the med kit and give up a slot for your melee weapon. In addition, weapons and skills are now upgradeable and unlike most games that offer in-app purchasing for some easy money, here you have to earn your way to get new stuff. Also, instead of starting over from the easy levels which can get repetitive for a while, the game is now broken down into separate missions where you have a specific period of time within which you need to survive to be able to move on to the next level, which is a bit stressful and in my opinion, unnecessary. Perhaps an option to show time left could be added so that one can choose to enjoy not knowing when a level ends. In addition, instead of the linear type of side scrolling action you may have been used to, the new scheme now lets you move up and down to take on different lanes of zombies. However, the virtual joystick controls need to be tweaked. The buttons are too small and there should be an option to customize their placement on the screen. The hiding-in-houses twist in Zombieville USA 1 was dropped in favor of destructible objects along the landscape that provide money and ammo. So far I haven’t come across surprise vehicles, either. These little twists made the original game fun and fresh every time, so I was a bit disappointed that they’ve been ditched in the sequel. 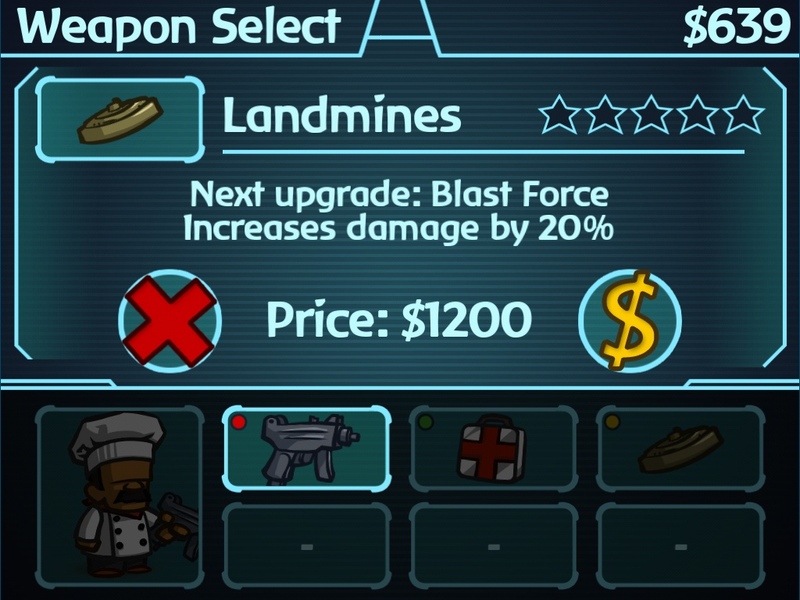 Necessarily, Zombieville USA 2 has gotten more complex but there’s not much of a tutorial to start with, or helpful hints when it comes to figuring out what weapons to buy or how one character is different from the other (if there are differences amounting to a strategic advantage or disadvantage). It takes a few trial and error runs to figure out how the RPG system works, so some assistance or a better inventory system would be welcome in future updates. Also I don’t know what the voice chat option means and how it works so anyone who could help me out in this department, thanks in advance. A welcome addition, however is the multiplayer mode, either via Game Center or Bluetooth. Co-operative online multiplayer is simply awesome and works flawlessly if you have a stable Internet connection – otherwise, be prepared for occasional crashing and hilarious moments where you or your partner are running around shooting at what appear to be invisible zombies to the other. On the other hand, I wish I could see my fellow player’s level of health, ammo left and other important stats. Since I often carry around a medical kit with me, knowing if my partner needs a health boost and managing my own ammo use if my partner is running low would be incredibly helpful, strategy-wise. I hope Mika will consider it in their future updates to the game. Mika Mobile’s games, in my opinion, are true iOS gaming titles, built on the foundations of the platform. The highly original Battleheart, for example, stands out from the pack because Mika made multitouch/line drawing an integral part of the gameplay to make the game action-packed, fluid and spontaneous, while making RPG accessible and fun to newbies. Likewise, the level of polish, intuitiveness and ease of use that mark Mika Mobile titles embody many of Steve Jobs’ principles and aesthetics when it comes to Apple. If one were to look for an iOS title that is truly representative of the platform, then I would name a Mika Mobile game. Whether or not the overall changes in Zombieville USA 2 are good compared to the original may be debatable for some players. The good thing is, the original Zombieville is always available if you miss some of the aspects of the original gameplay. Zombieville USA 2, with a few more tweaks, is a big step in the right direction and has earned its spot in 2011’s top ten must have games, along with Battleheart. Without a doubt, Zombieville USA 2 is a must buy and will certainly keep you occupied this Halloween. good game but never played the first one so a little more screenshotsts there please.